Zoo de Castellar is located outside the town of Castellar de la Frontera, about 10 minutes inland from Sotogrande. The zoo borders the beautiful Los Alcornocales Natural Park. 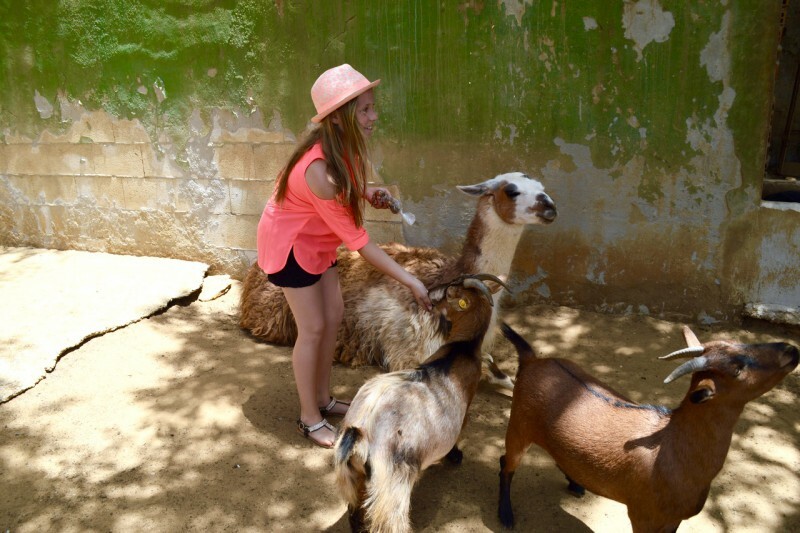 Zoo de Castellar is a very special place which serves as a rescue centre for all sorts of animals. It was started as a private rescue sanctuary back in 1998 and was opened to the public in 2002. The purpose of the rescue centre is to provide these animals with better living conditions ensured by the best carers. The centre offers a second chance for the animals, and to the public, an entirely different zoo, where visitors may feed the animals and interact with them directly. Once we walked through the main gates, we immediately saw a beautiful lion lying in the very front. Visitors attempted to get close enough to touch it and take some photos. All of the animals have been rescued from circuses, illegal trafficking, customs, or the police. Most of the animals are victims of illegal animal smuggling between Europe and Africa. They now have over 500 animals and 120 different species. The attraction of the zoo is that you can touch and feed the animals. You can buy small bags of seeds for 2€ and feed all the animals around you. This will help you take amazing photos with the animals. You can hand-feed lemurs, hold a three-month-old baby monkey, touch snakes, rabbits, birds, etc. It is an amazing exeprience for children. I really liked that the zoo's staff were extremely friendly and knowledgeable. They provided all kind of information about the animals and showed how to hold them. Some parents might be a little concerned about allowing their kids to get so close to the animals. I never felt my child was unsafe, the staff did a fantastic job! Zoo de Castellar is the place you will never forget! The zoo survives solely on donations, all kinds of sponsorship, and entrance fees. No government help is provided. You can also have your birthday party there. Celebrate your birthday at Zoo de Castellar for 10€ per child, which includes a guided tour and a picnic for all the children. For additional information, please contact 607 910 393 to reserve a celebration any day of the week for a unique experience for the entire family. My children Arabel and Rainer have their own YouTube channel Brother Vs Sister, and they made a video about visiting Zoo de Castellar. I hope you guys liked it! Please like and subscribe!